What’s New with the PlayStation? I used to see my nephew play this PS game console almost every day without fail. That was many years ago. Then when I had my son, my husband eventually gifted him with a Sony PlayStation at the age of 7 or 8. He even bought a steering wheel accessory that can be attached to the device and allow the player to play a car racing game as if he’s really maneuvering a real steering wheel. After a few years, my son again received the portable video game gadget PSP from his dad. And now after several years, here comes the newest version of the PlayStation called the PS Vita. 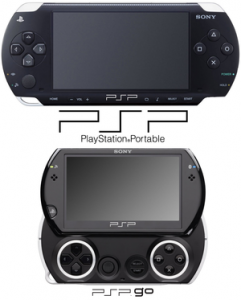 But many of you may not know that in between, Sony actually released several versions of the PSP. Indeed, Sony never ceases to surprise its consumers. From the original PlayStation console, it has produced several portable models through the years with the PS Vita as the latest. And despite the stiff competition with the other manufacturers of handheld gaming devices, the company continues to create more advanced gadgets. Along with these advancements came more sophisticated games as well. In terms of features, each of the portables that came after the PlayStation (from the PSP 1000, 2000, 3000 and PSP Go to the new PS Vita) had a unique set of features from the previous versions. So let’s see what upgrades have been made to the portable PlayStation or popularly known as PSP through the years. In terms of storage, only the PSP 1000 had a smaller capacity at 32 MB while the rest had 64 MB or higher at 16 GB as in the case of the PSP Go. All have a Wi-Fi capability except for the PSP E1000. The PSP Go, however, was the only model that had Bluetooth. The PS Vita, being the newest version, is more advanced as it already features a touchscreen and has a storage capacity of up to 32 GB.